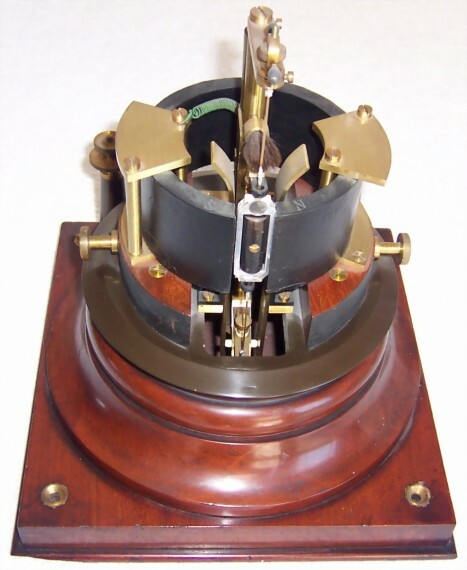 Sullivan mirror galvanometer (missing its brass lid). Used to directly receive cable code signals. A beam of light reflected on the mirror indicated the polarity of the received signals.